Ariana and Viviana Manchu in Lehenga by Sunaina Sood! 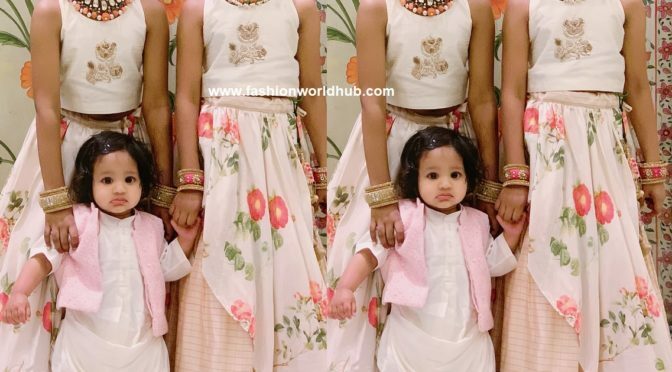 Vishnu Manchu’s twin daughters Ariana and Viviana attended an engagement function along with her mom. Both the lovely kids wore a colour coordinating lehengas by Sunaina Sood. They looked lovely in the traditional gold jewellery from L. Bajrang Pershad Jewellers and flowers. 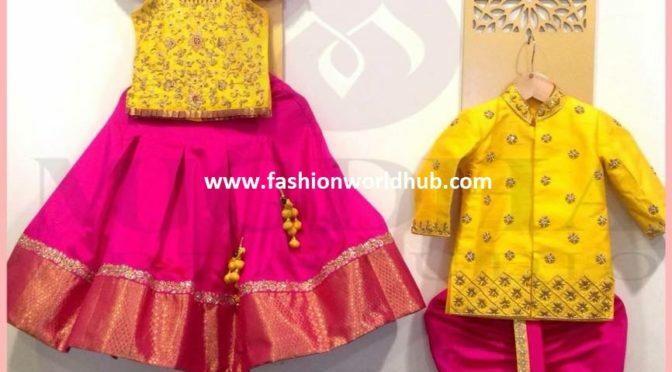 Party Wear Designer Dresses For Girls by ISSA Studio! Kids Outfits by Mugdha Art Studio! 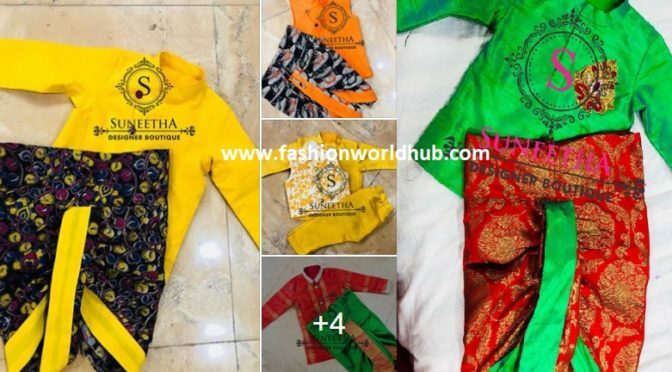 Customized kids Kurtha dothi by Suneetha designer boutique.